Victory - Honor God. Make Disciples. | A new Home for Victory Quezon City! You are here: Home / A new Home for Victory Quezon City! A new Home for Victory Quezon City! After seventeen years of prayer, Victory Quezon City has now moved into the fifth floor of Regis Center along Katipunan Avenue! This is just one of the many answers to prayer that the church has been receiving since 1995, when there were just ten young people gathering every week at the University of the Philippines-Diliman to intercede for more students, professionals, and families from the city to know Jesus. 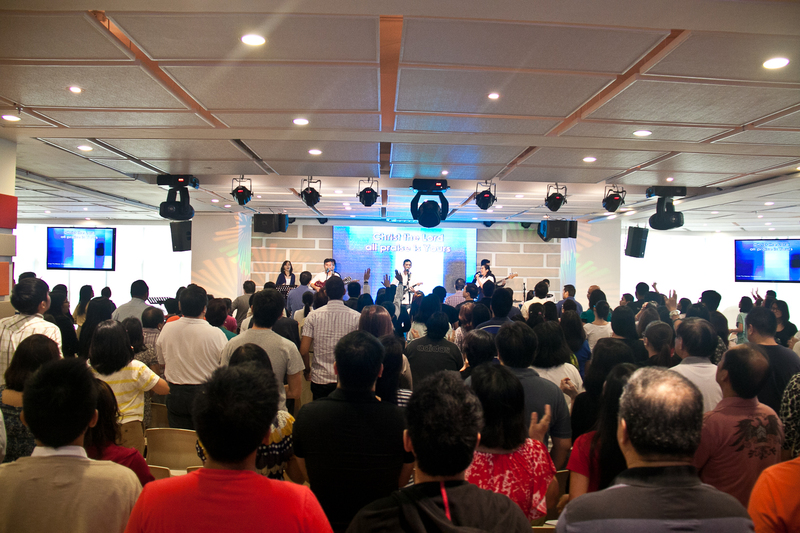 Victory Quezon City celebrates God's faithfulness in their new center. 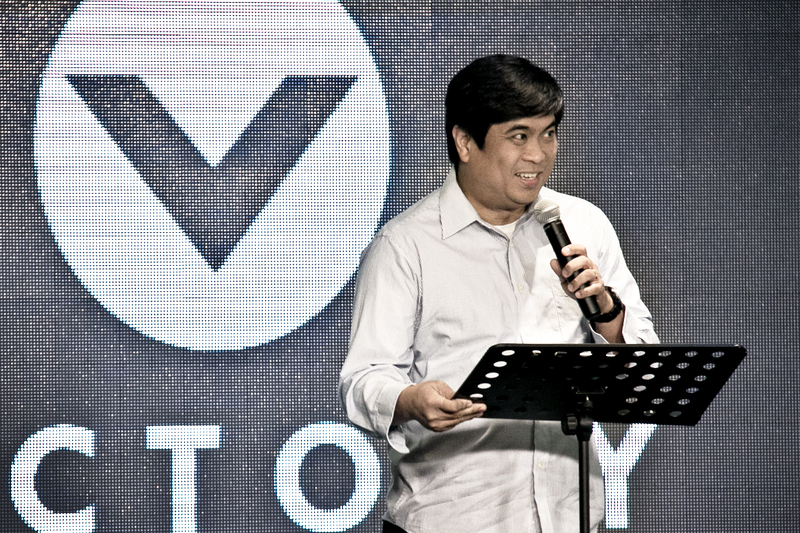 Last July 1, Victory Quezon City held their first service in their brand new facility. As we welcomed the last half of 2012, church staff and volunteers cheerfully ushered the people into the new Katipunan venue. The 10 AM Sunday worship service is an addition to the current services of Victory Quezon City at the GT Toyota Center Auditorium. During the launch, Pastor Manny Carlos shared a word about facing the future with faith. Surely, as we look ahead with eyes of faith, countless people will encounter Jesus, and lives will be transformed as a result. Ptr. Manny Carlos was part of the Victory Quezon City pioneering team. Sunday, 10AM (English) 5/F, Regis Center, 327 Katipunan Ave.
Friday, 6PM (Youth Service – “Life in Katipunan”) 5/F, Regis Center, 327 Katipunan Ave.
More than the brand new facility, we have a greater opportunity to impact the campuses, workplaces, and residences in the area! Victory Quezon City is our only Metro Manila location that holds worship services inside a college campus, the University of the Philippines. We believe that discipling the future leaders of the country would help transform our nation to bring honor and glory to Jesus! Volunteers and staff are excited for what's up ahead. Please pray with us for a bigger harvest, more Victory groups, and a wider reach of God’s Word in Quezon City. Victory Quezon City is just one of Victory’s fifteen locations in Metro Manila. We also meet in over fifty-five venues in the provinces. We would love to have you join us at a Victory center nearest you! Victory Quezon City is now Victory Katipunan! Cell group in Ateneo please!